Let’s briefly rewind the clock to March 25, 2016. My 68 year old mother texted me saying she really wanted to go to this show at the 9:30 Club on April 6, and could I help her get tickets. I hopped on 930.com to scroll down and see a band I had never heard of for tickets at $104 a pop. Wait, what? Who is Mudcrutch? A quick google search and there is Tom Petty’s iconic grin. Oh wow. I get it now. Mudcrutch of course is Tom Petty’s early youth band, spawned from the roots of Gainseville, Florida, as spry teens on a mission to make it big. There is a Netflix documentary detailing the story with plenty of video, which I highly recommend. Two of Mudcrutch’s band members stayed on to become Heartbreakers, but this tour is all original Mudcrutch. They’re promoting their new album, Mudcrutch 2, which happens to be #3 on Billboard’s top rock albums. The show sold out in 45 seconds…I was in that 44 seconds. The vibe outside pre-show was pretty expected. A lot of older folk in line four hours early to make sure they have access to a stool, wall, or the golden ticket…the second floor rail to lean on overlooking the stage. How many Heartbreakers songs will they cover? Will there be a lot of slow songs? Naturally, I cheated and browsed Mudcrutch’s previous setlists, so I knew from their previous club shows there would be no Heartbreakers songs tonight. Who cares? 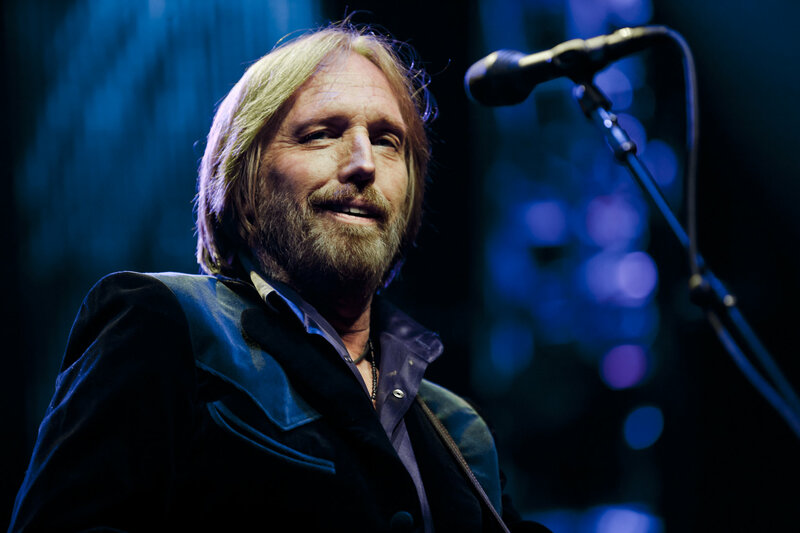 Has Tom Petty ever done anything in life that is not Hall of Fame worthy? Especially with six people on stage. The tickets came with free hard copies of the CD weeks in advance, and I was incredibly impressed at what I was hearing. Scare Easy – This was the fourth song in the set. Fans that came to see anthems, this song has all of it and more. Lover of the Bayou – It was at this point I forgot everything Heartbreakers. This was perfection in every note by every band member. It was incredible to watch lead guitarist Mike Campbell effortlessly go full range all over the guitar without even flinching or breaking a sweat. Slash would have had trouble keeping up. Dreams of Flying – Petty laughed at the mic that he found these lyrics in a trash can in a cabin and that he was going to make this work. It did. Save Your Water – Guitarist, Tom Leadon, introduced this song stating it is one of the first songs Tom Petty ever wrote. It was a perfect segway as Petty just got announced for the songwriting Hall of Fame, which the 930 Club let him know was well deserved. Welcome to Hell – Keyboardist, Benmont Tench, swiveled back and forth all night between a grand piano and a Ray Manzarek style setup of keys. Tom Petty introduced this song as a Tench original and part of his solo album. Forgive it All – Tom Petty: “What does the world need most?” (loud chant from crowd: “More weed”). Petty continued on saying “More Kindness” which the packed house agreed with. It was a beautiful slow song that Petty promised would be rewarded after. Knockin on Heavin’s Door – This Bob Dylan song has been covered by just about everyone, but Tom Petty’s version rivaled the power of Guns N’ Roses. Heavy keyboard solos and three guitars powering though was as good as it gets. The Other Side of the Mountain – Out comes the banjo for a psychedelic song where band members played back and forth with each other. There was teasing of Grateful Dead type riffs before the electric guitars came back to own the song. This one of Mudcrutch’s two songs that extended over ten minutes. Victimless Circumstance – Tom Leadon pulled out the Chuck Berry-style, fire engine red Gibson and wow’d the crowd with some incredible guitar solos. High School Confidential – When you have one of the greatest keyboardists on your stage, how can you not end with a Jerry Lee Lewis song?